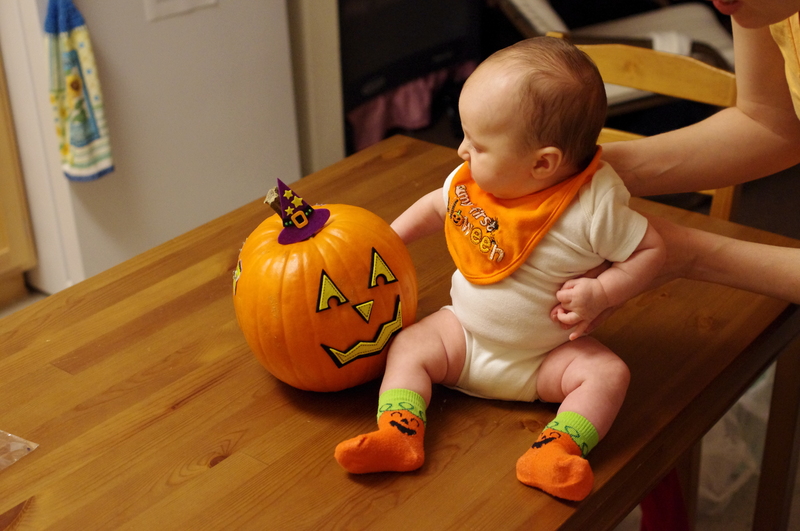 After resting, eating, a walk, and generally enjoying the afternoon, we decided it was time for our little one to finally decorate her first pumpkin. 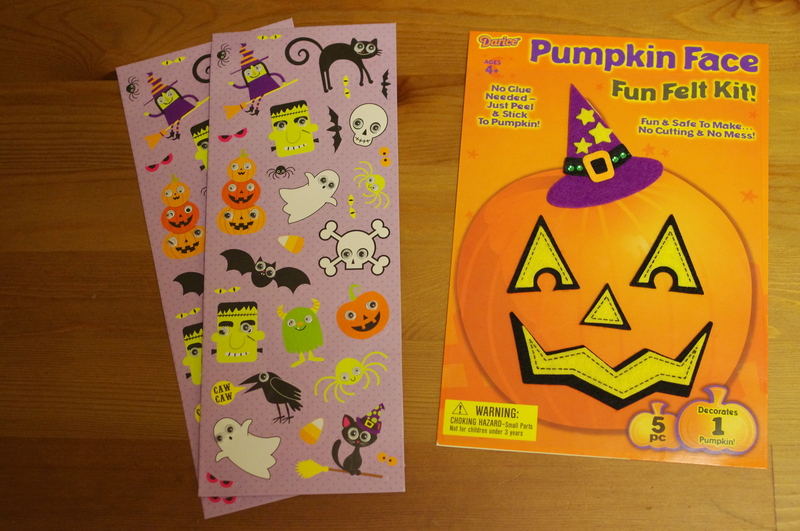 I found some really cute stickers at Target for $1 per package, which ended up being a great find and a very easy way for a newborn to do a pumpkin. 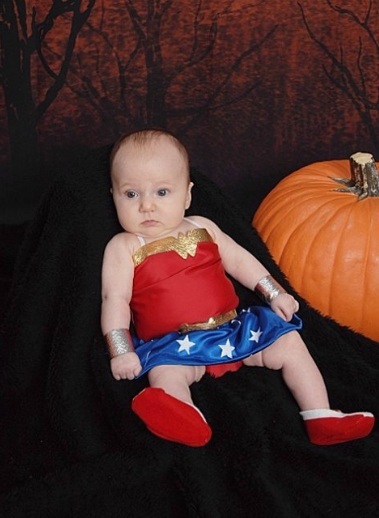 Happy first Halloween to my sweet little girl. Since the Cheery Cherry Dress didn’t work out for three month milestone pictures, I decided to look for a simpler option that would be sure to fit. 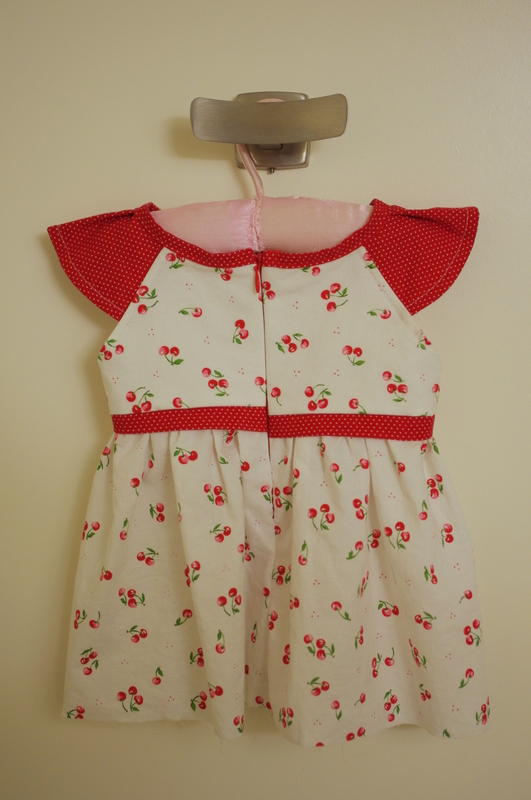 That’s when I came across the Ice Cream Social Dress on the blog, Craftiness Is Not Optional. I love that blog! I knew that the dress would be easy, cute, and sure to fit. I bought the blue fabric with the idea of making a different dress, but since I’ve decided to opt for less fitted dresses for the time being, I thought that it would be fun to use for the Ice Cream Social Dress. 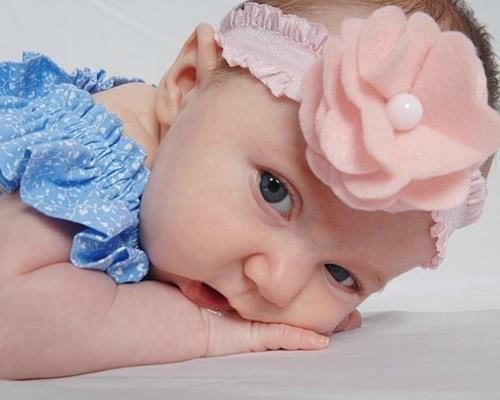 The blue definitely brings out my little one’s eyes and is a nice change from so much pink. Although I am enjoying every second of the girly stuff, I do think it’s good to branch out into other colors once in a while. To go with her dress, I wanted to make some sort of a headband. I used the Box Fold Felt Flower tutorial on the blog icandy handmade. Because I didn’t have any decorative elastic, I just repurposed a headband that my little one had already worn, cutting off the bow and attaching the flower using a small safety pin. 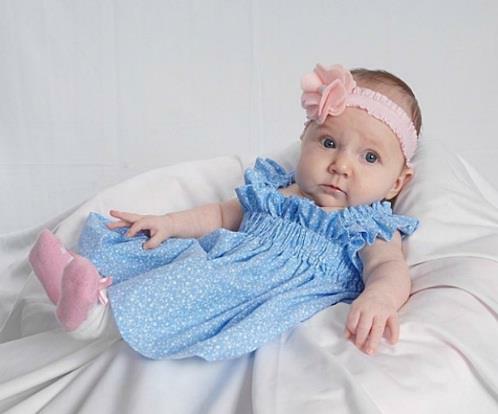 My little one just turned three months old, which I can hardly believe! For her milestone pictures, I decided to get crafty and make a cute outfit for her. While browsing mommy blogs, I came across two dresses that I liked and decided to combine elements of both. The first dress is called the Simple Raglan Dress from a guest post on the blog icandy handmade and the second is called the Vintage Heirloom Dress from the blog Craftiness Is Not Optional (My absolute favorite sewing blog!). I decided to use the Simple Raglan Dress with the pleated sleeve as the main form of the dress but added a lining to the bodice since I was using a mostly white fabric. I borrowed styling from the Vintage Heirloom Dress, using a similarly adorable fabric and the cute button embellishment on the bodice. I was so excited with the way it turned out! It was definitely a challenge as it was my first attempt inserting an invisible zipper. I had to rip out the seams and try again, but when all was said and done, it looked pretty good for a first timer…at least I think so. I was a little bummed that the red accent fabric didn’t line up correctly in the back. Maybe I got a little overzealous with the embellishments for a novice sewer. 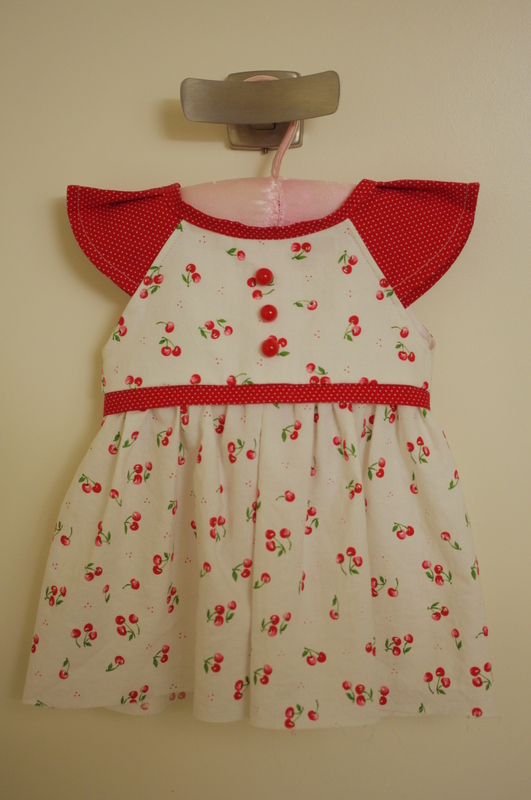 Even with that little set back, I was very pleased, perhaps even a little smug that I had created such an adorable dress for my sweet little girl. With that being said, we all know what smugness and overconfidence lead to…. Once I had my little one try on the dress, it was apparent that the sizing had gone horribly wrong. That didn’t stop her from smiling away, though. I swear that she somehow knew I made something special just for her. 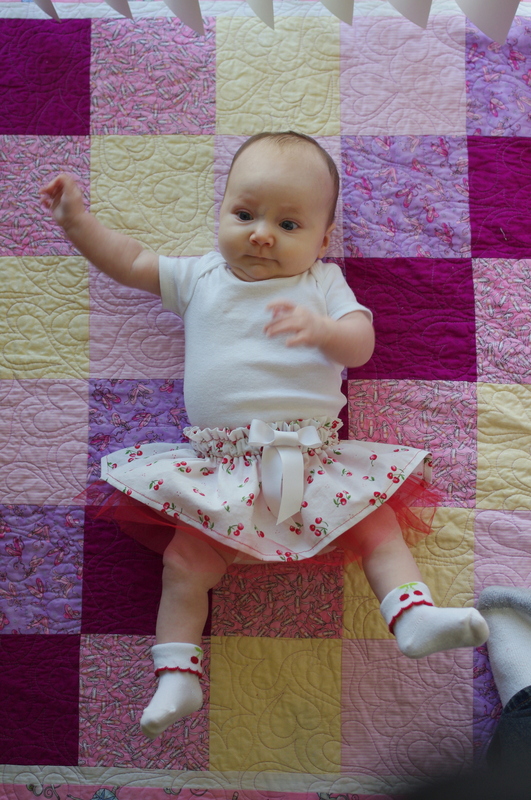 After holding her in different positions and tugging and tucking fabric here and there to see if there was a way to fix it, I finally admitted to myself that it was a hopeless cause. With this experience, I am convinced that it is almost impossible to make fitted clothes fit correctly on a newborn baby. They are just too amorphous and blobby, especially for someone as inexperienced as I am at sewing. After admitting defeat, I decided to salvage the bottom part of the dress and turn it into a skirt. I bought some red tulle to add extra cuteness, and in hindsight, I should have also bought some red ribbon for the bow, which would have looked a lot better than the white I had on hand. Although I sort of rushed through it and didn’t quite sew everything together in the optimal way, I think it looks great, and more importantly, it fit! 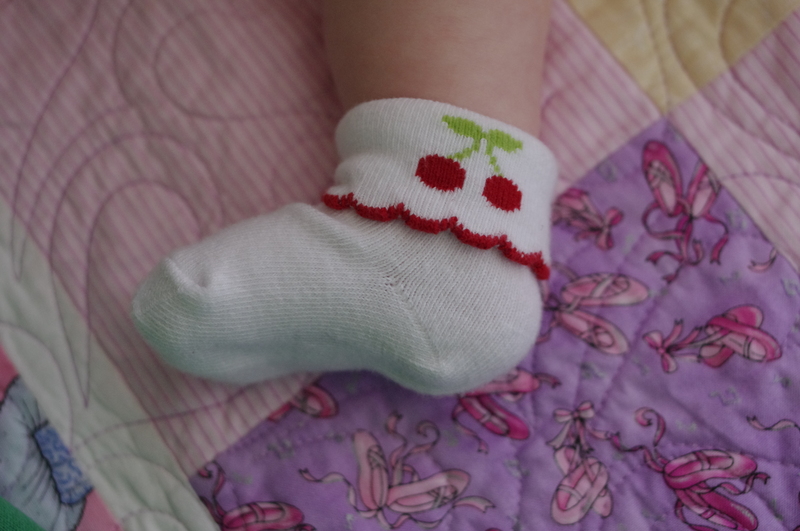 And the cuteness factor was definitely brought to a whole new level with the cherry socks, a gift from my Aunt Pam. I never imagined myself the blogging type but here I go. I’ve decided to embark on a sewing and crafting adventure and this blog will serve as a journal of sorts to document all of my endeavors along the way. 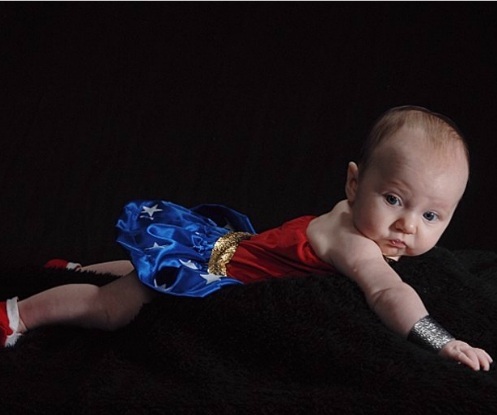 In July, I gave birth to a beautiful baby girl. She is the inspiration for this blog as the projects I plan to create will be in large part for her. 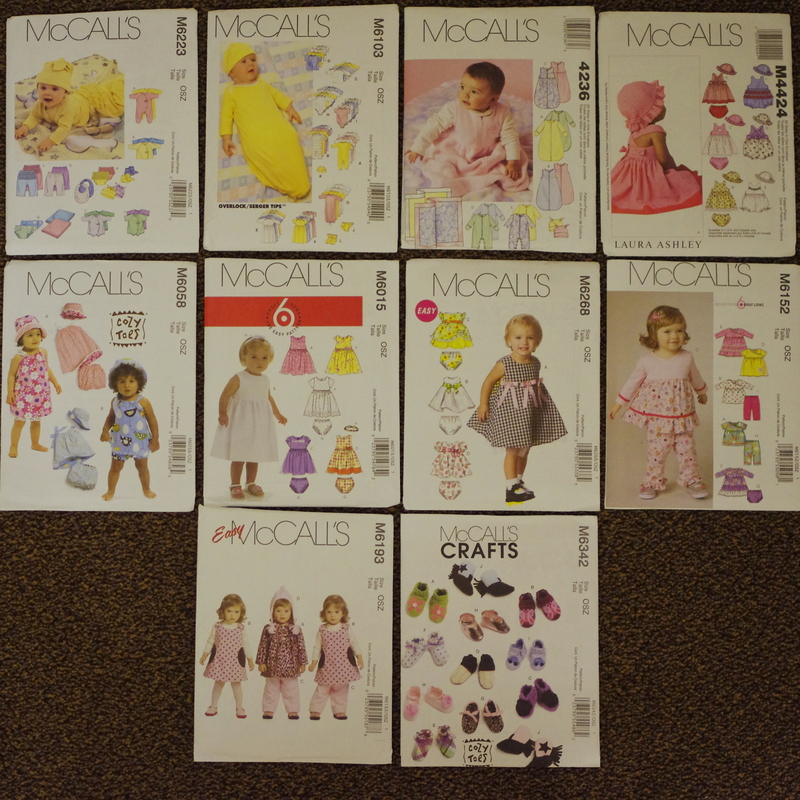 With a little girl, the possibilities are endless and I am so excited to get started making adorable things for her. At this point, I am definitely a novice sewer and crafter and will mainly attempt projects created by moms with amazing tutorials on their blogs as well as patterns I have accumulated. Perhaps when I get more experience and get the confidence, I’ll be able to make original designs. We shall see. You might be wondering how I came up with the name Baby Bird Sewing. The name comes from my sweet little one who makes cute chirping sounds. My husband, Andrew, and I jokingly refer to her as our little baby bird when she does. And without further ado, welcome to Baby Bird Sewing.